While being home last time, I was honored to participate in celebrating a traditional Polish wedding. I was absolutely blown away and nervous at the same time, when one of my high school friends asked me to go with him. Why? Firstly, I did not know either the bride or the groom. 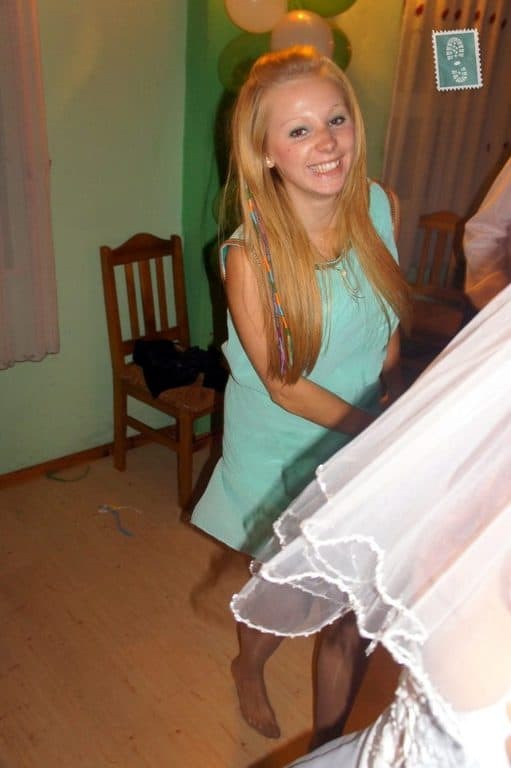 Secondly, I didn’t really know what to wear to a Polish wedding! I had no clothes, apart from my sneakers, jeans and a fancy Thai hat: pieces of clothing that are rarely part of a Polish wedding dress code. However, my sister was super sweet by getting me ready for the party by providing me with a beautiful green dress, as you can see in the picture below! Me dancing like crazy, that’s the spirit! 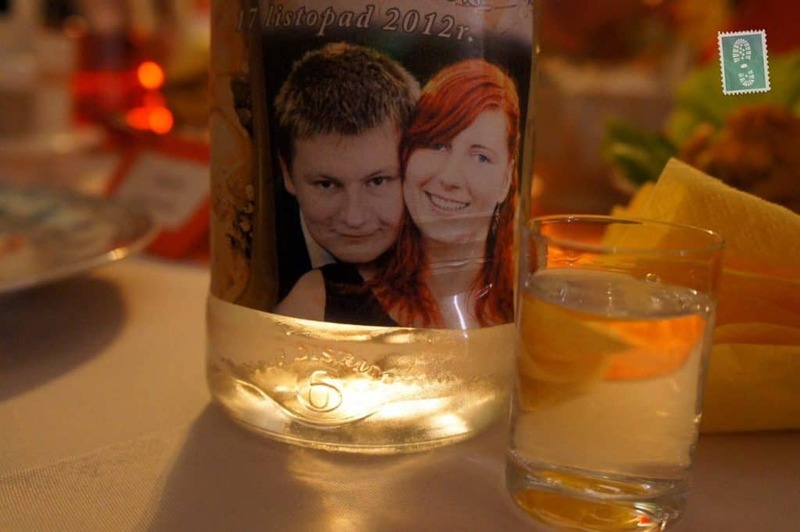 All you need to know before you crash a Polish wedding is that Polish people are very hospitable, friendly and they like drinking a lot of vodka. Each holiday or celebration is an excellent opportunity for us to overeat and overdrink :). Traditional Polish weddings are, without a doubt, one of the funniest in Europe and the wedding party can last even a few days. 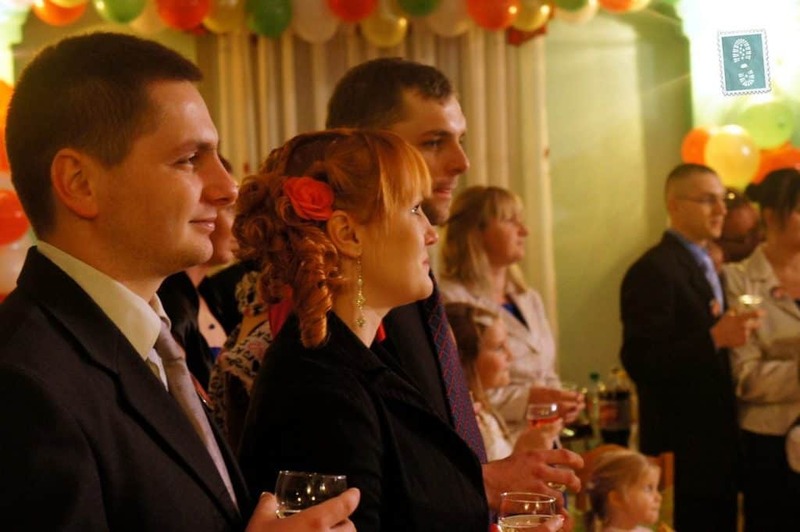 These weddings often pull whole families together to celebrate such an important moment in the life of their relatives. There is no way you will get bored or go home before 5 am! 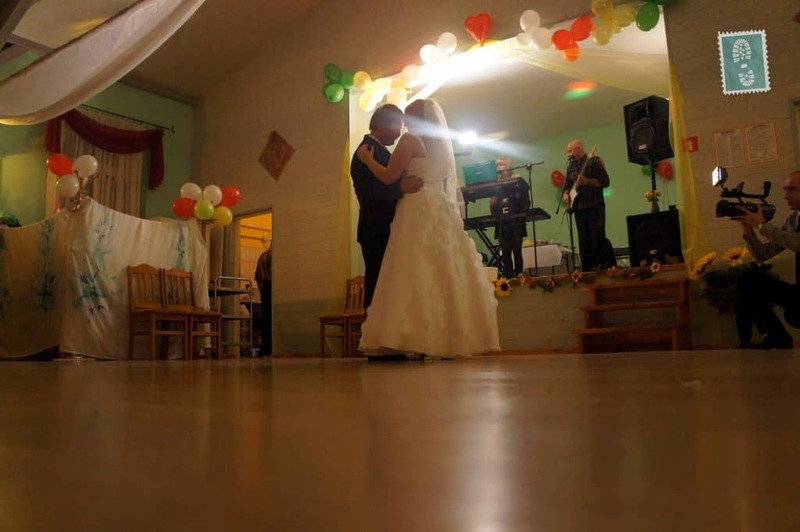 How a Polish Wedding Ends.. 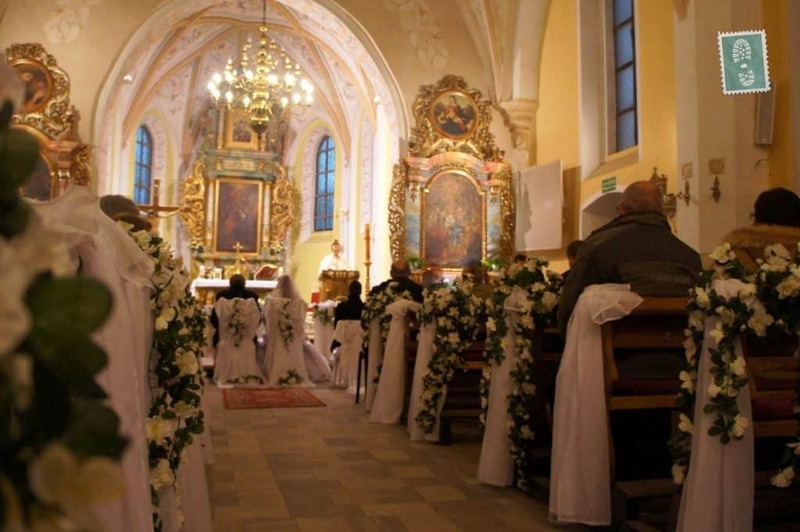 Marriage and weddings are subject to a number of traditions, customs and superstitions in Poland. To start with, according to the tradition, an engagement lasts up to one year. Therefore, the wedding must take place within 365 days from the date of engagement. In Poland, there is a superstition that the wedding should take place in a month that contains the letter “r”. 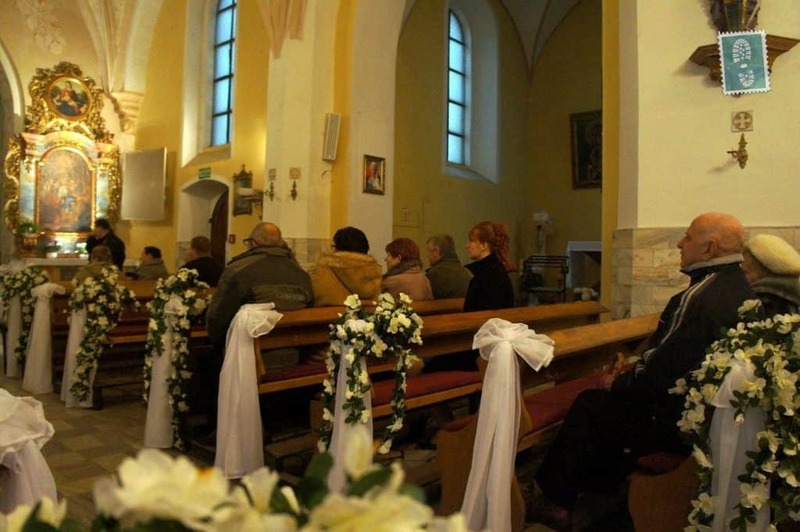 Planning a Polish wedding ceremony on the 1st April is not recommended for obvious reasons – April Fool likes to make mischief, not only in terms of weather (April in Polish is “kwiecień” and thus does not contain the letter “r”). Selecting a wedding dress is also shrouded in tradition. The groom should not see the bride in her wedding dress until the wedding ceremony. Moreover, a woman must bear in mind that the wedding dress should be worn only once when trying it on. Unnecessary parades in the dress carry a bad omen. A traditional Polish wedding dress should contain at least one white and one blue element. The white element is a symbol of purity. The blue component bodes marital fidelity. In addition, the bride should also have something borrowed (and the favor of her husband’s family), something old (if necessary guarantees help from relatives) and something new (a symbol of abundance). On the way to the church or registry office, just wed should look out for pigeons, as they bring happiness. In contrast to crows and ravens: they can be a bad symbol. Also, the weather on the wedding day has some symbolic meaning. It probably doesn’t come as a surprise for you that beautiful sunny sky heralds happiness, and thunder and rain augur bad luck. It is interesting though that light rain is considered a blessing of God. The journey to the church should go without turning back, even if someone forgot something! Furthermore, the bride’s father should accompany her till the end of the trip. The first moments of marriage require a thread of traditions. The young couple is showered by guests with rice or barley grain to provide them with fertility and abundance. The first joint toast should end up with throwing glasses so that they break. The wedding party is something everyone looks forward to. All guests are dancing like crazy to the music played by a band and you might be able to spot a traditional Polish wedding dance. There is no way you can stop dancing (maybe if you want to have another vodka shot). The whole place is decorated by fancy balloons and colorful ribbons. 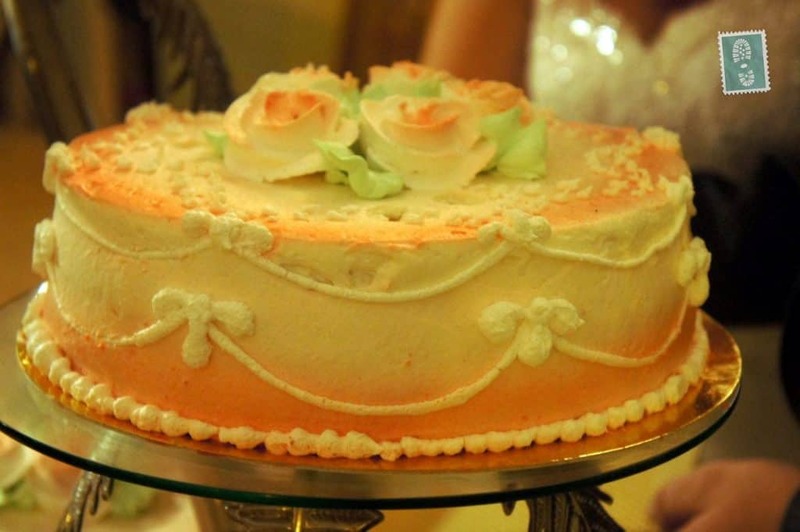 To organize a party like that, the younger generation tends to opt for the help of a wedding planner. Everyone is over the moon! 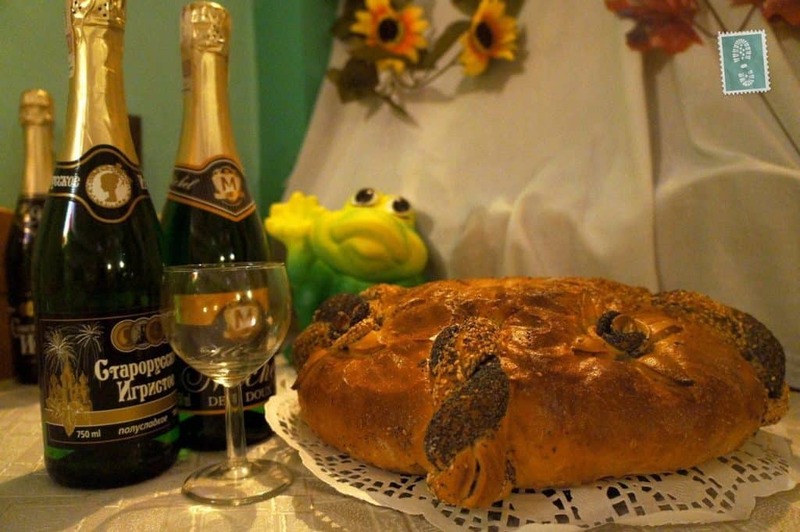 At midnight, there is time for “Oczepiny”, a wedding ceremony during which the bride symbolically passes from maiden to married status. During the ceremony the veil of the bride is removed and gets tossed into a crowd of single women and the groom takes off his tie and throws it to the attending men. Then there’s time for some fun games. For example, a game where 10 women are sitting on a chair with their skirts and dresses rolled up and the groom needs to find out which legs belong to his wife, without looking. 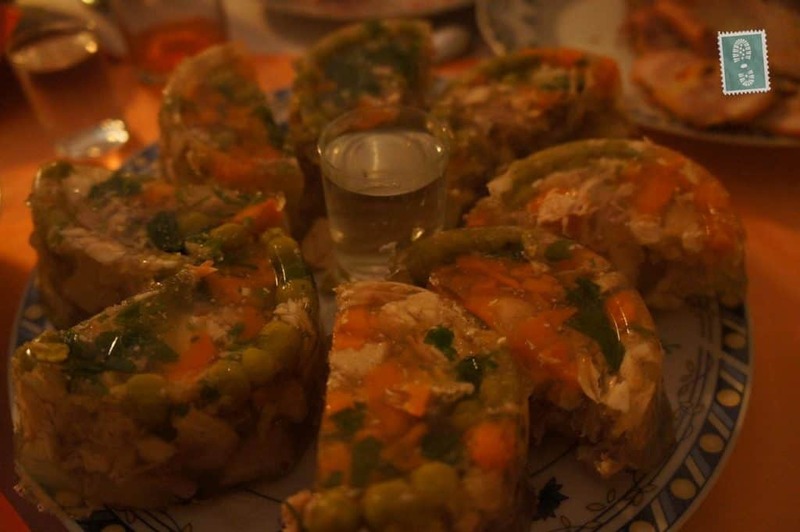 Weddings are one of Polish traditions (after Christmas) when you will never feel hungry or thirsty. 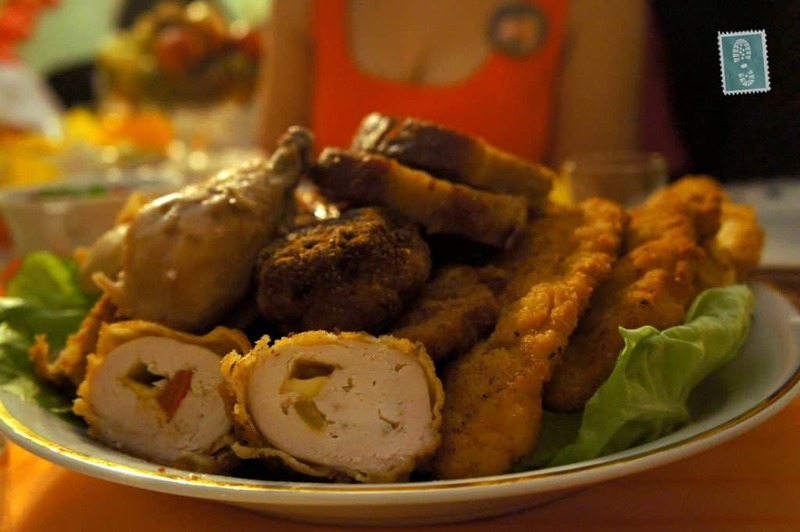 You will be stuffed with enormous amount of Polish food and drinks. Overeating and hangover are guaranteed. 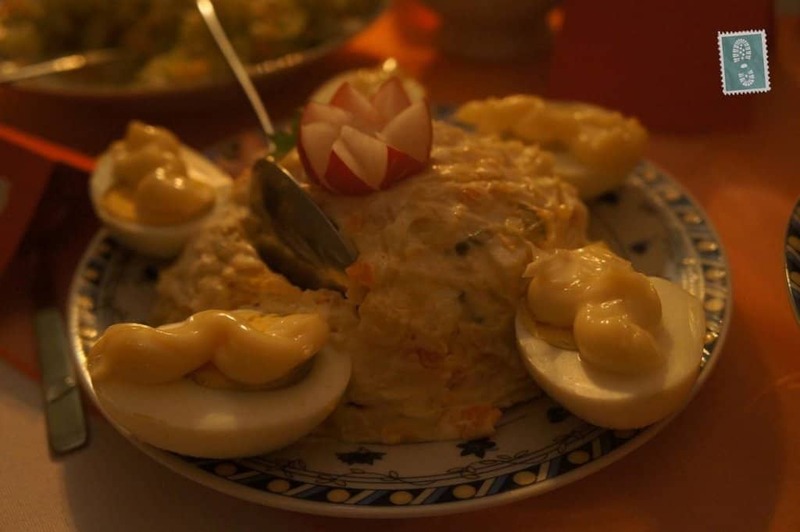 There are many traditional Polish dishes served, such as Polish dumplings, herring in oil or vegetable salad with mayonnaise so everyone can find something for themselves. The food is being served by waitresses every few minutes so you can taste it all and pick up your favorite. When everyone is drunk and falls asleep on the floor, the party is coming to an end. The next day all guests gather together again to have a dinner. Although I am not a big fan of parties and drinking too much, I had a lot of fun and met great people. I wish the bride and the groom all the best and hope all their dreams will come true. Have you ever crashed a wedding? How was it? Different or similar to Polish? Share your thoughts with us in comments! What a fun post! It was interesting to see how some Polish wedding traditions overlap with those in North America (like the something new, something borrowed, and something blue), but other aspects of the ceremony are completely unique (like Oczepiny, which sounds hilarious). Personally I think you should have worn the fancy Thai hat to the reception, though, haha. 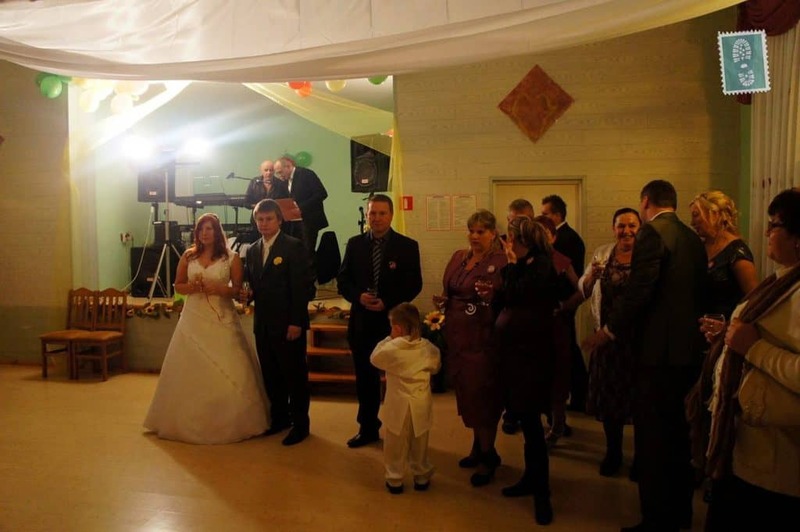 Yeah, Polish weddings have a lot in common with North American weddings. Oczepiny is one of the funniest Polish words I know, makes me laugh every time I say it. YES, I should have worn the fancy Thai hat, would have been a lot of fun and what’s more I would have felt sooooo embarrassed! Lovely detail there Agness. 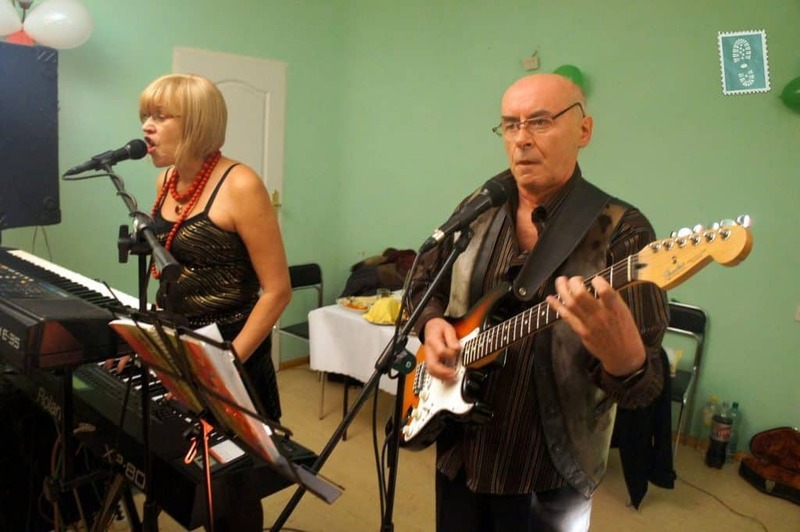 We were invited to a Polish wedding for 2011 yet sadly were unable to make it. We’d heard about some of the traditions but not as many as you mentioned there. There are loads. We’d also heard about the long party and extensive drinking. You have got me worried now. We get married in May, can I re-write the calendar month as rMay? “Overeating and hangover are guaranteed” SO TRUE! I went to one this Summer! My friend’s sister’s wedding and it was so much fun. I danced and danced and danced and ate and ate and ate…and of course vodka! Oh I’d love to go to another one. I’m liking your facts on Polish wedding, so many interesting things. Hahaha! 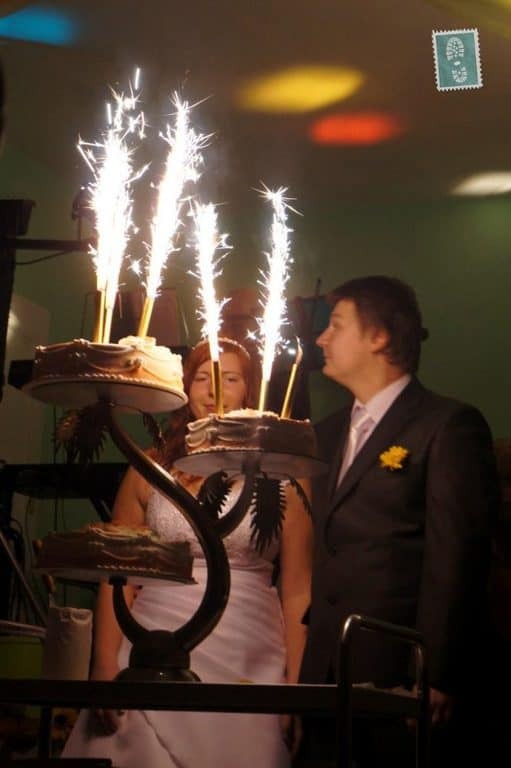 So glad you crashed a Polish wedding. So happy you liked it :):) Dancing is crazy :P, people never stop. Love this – but now I’m hungry with all the food pictures! Agness, you look so pretty in those shots you posted! 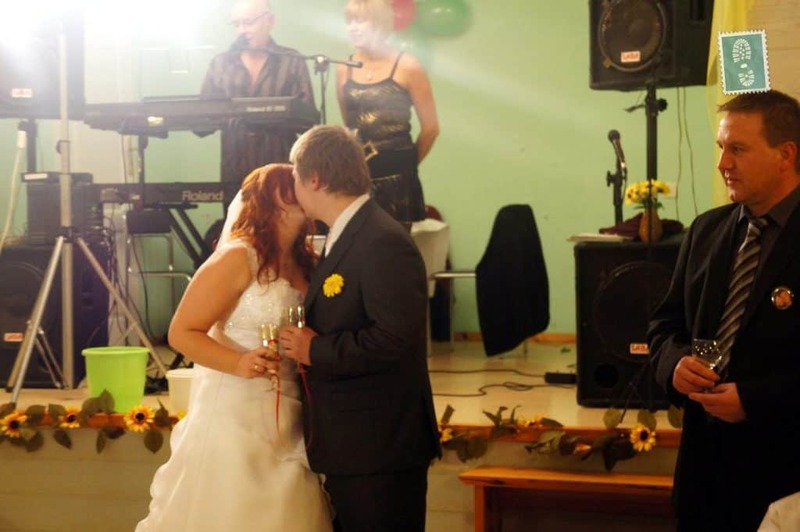 I so want to go to a Polish wedding… Aggy of dreamexplorewander.com and I had a twitter talk on that just recently. Way high on my Bucketlist. The food was just amazing. Thank you! Maybe one day I can take you to Poland with me and we can crash a wedding together :). Would be a lot of fun! What a gorgeous wedding! Congrats to the bride and groom. Such an interesting post, Agness. 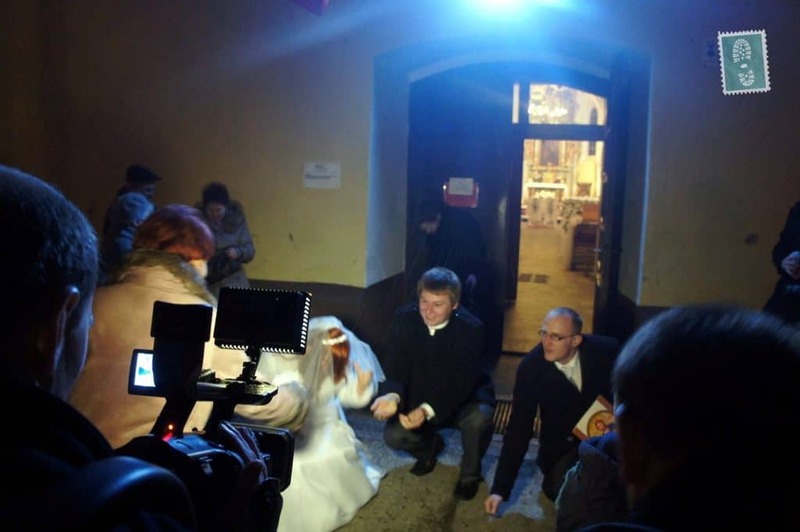 It’s amazing how many superstitions there are surrounding the wedding ceremony in Poland. The ones about the wedding planning and 365 day max engagement were the ones that really blew me away! What a great post, Agness! I love learning about a country’s culture and traditions through attending weddings abroad! I once crashed a wedding in the States, and was surprised to find out that it is exactly like all in the movies! 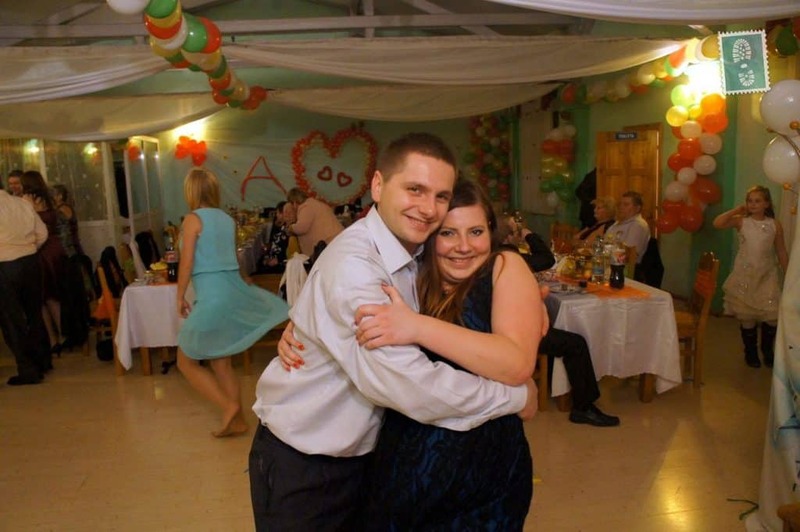 And after reading this, I really want to go to a Polish wedding now! They sound like so much fun! I’m so jealous of your wedding in the States. I watched a lot of American movies and thought the weddings like this don’t happen. Good to know they are exactly like in the movies! Thank you Sarah. If you ever crash a foreign wedding, just let me know. I am also interested in different wedding traditions! 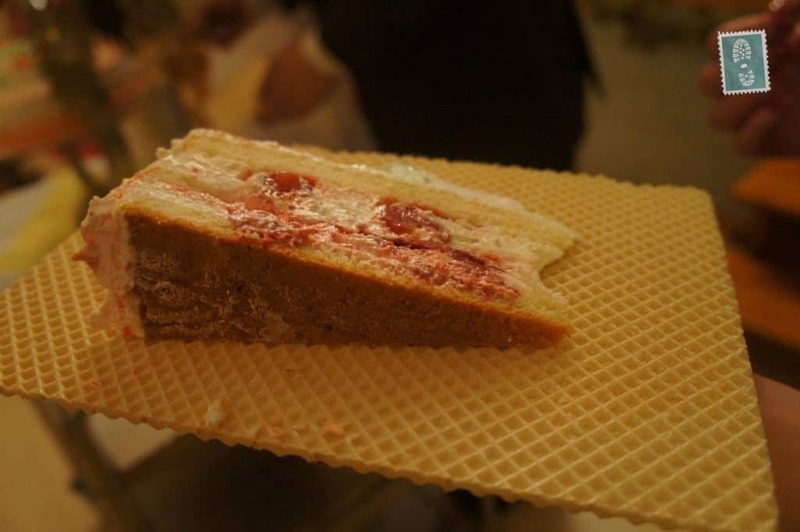 Nice to read about Polish traditions and interesting to see that some are the same as in Italy. Like the fact that the groom doesn’t have to see the bride dress before the wedding, or the ‘something old, new and borrowed’. The amount of food, drinking and dancing sounds similar too..
Looks like Polish weddings are a lot of fun and of course lots of great food and drinks. Hope to go to a Polish wedding myself one day and experience it all. Not as good as Malaysian food though. I found it really interesting how the Polish interpret wedding-day weather; how nifty that a light rain is a positive sign, while heavy rain is not! This looks like it was a great experience, Agness. 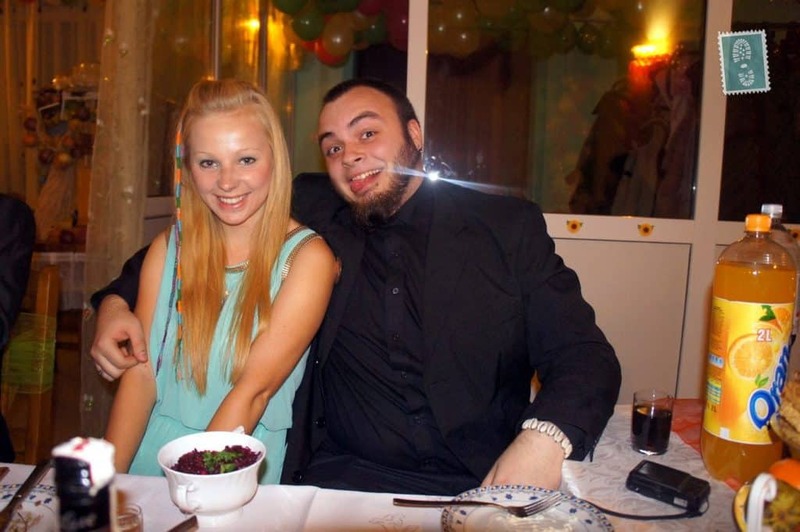 I have never been to a Polish wedding, but I want to go to one now! Hahha vodka custom is typically reserved for Poland :):):). It was a great experience, really miss it now. That is one hell of a party, I got scared when you said, as a groom, I have to identy the brides legs without looking. How do you do that? The bad omen signals are scary also, because you have no control over them. Hahahaha, you should know the bride’s legs, c’mon! Beautiful wedding, the cake is bonkers! It is really interesting to see the different traditions. Thanks for your comment. Hugs from China.